A-MAZE-N smokers(amns) are light weight, durable and portable smoke generators, that produce great quality smoke for cold and hot smoking. They are versatile enough to be used in just about any smoker or a grill. 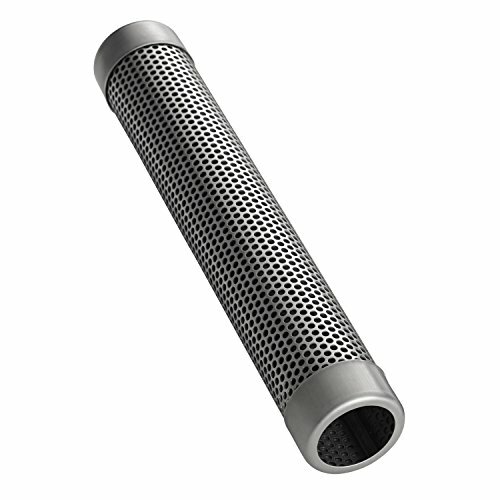 They are designed to burn pellets and supplement smoke at higher temps, in pellet grills/smokers. This is where most pellet grills/smokers do not produce much smoke. The 12'' Pellet Tube Smoker adds additional smoke at cooking temps, regardless if your pellet grill/smoker is burning pellets or not. The tube smokers perform very well in pellet grills, gas grills and gas smokers. Their unique design takes up very little space on your grates. If you have any questions about this product by A-MAZE-N, contact us by completing and submitting the form below. If you are looking for a specif part number, please include it with your message.